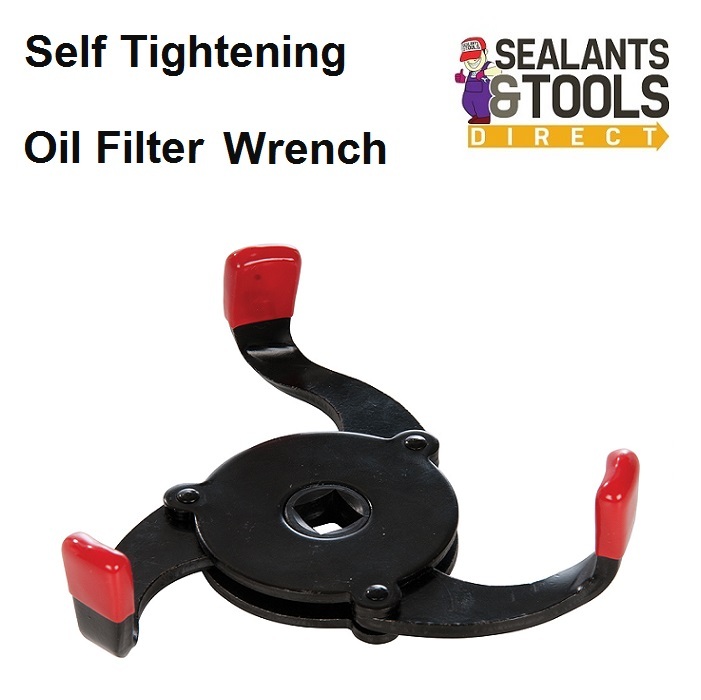 Strong easy to use Self-tightening oil filter remover Wrench. Heat-treated carbon steel for high torque application. Rubber-coated feet for improved grip. Self-tightening mechanism grips filters from 60 to 110mm.